With the ceding of Kowloon to the British in 1860, under the Convention of Peaking, development of the barren headland begin. 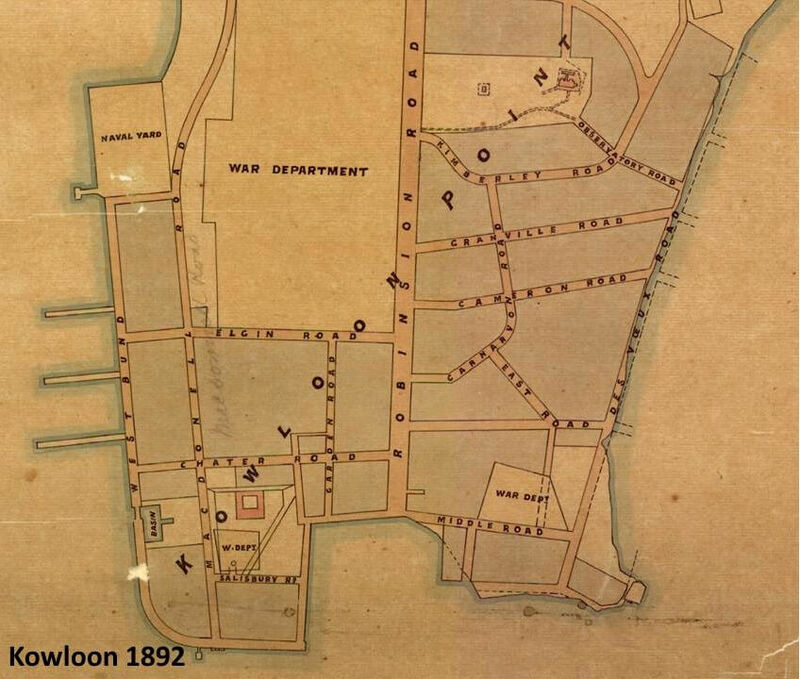 What had been an area for boat building and small villages became a city with roads and services. 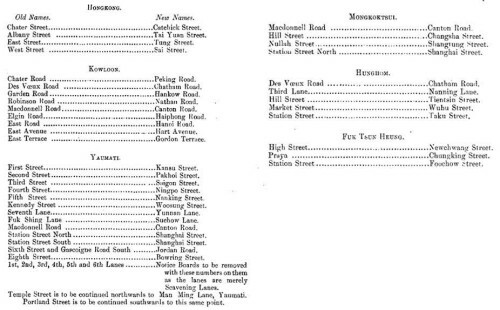 Naming of the roads was a problem. 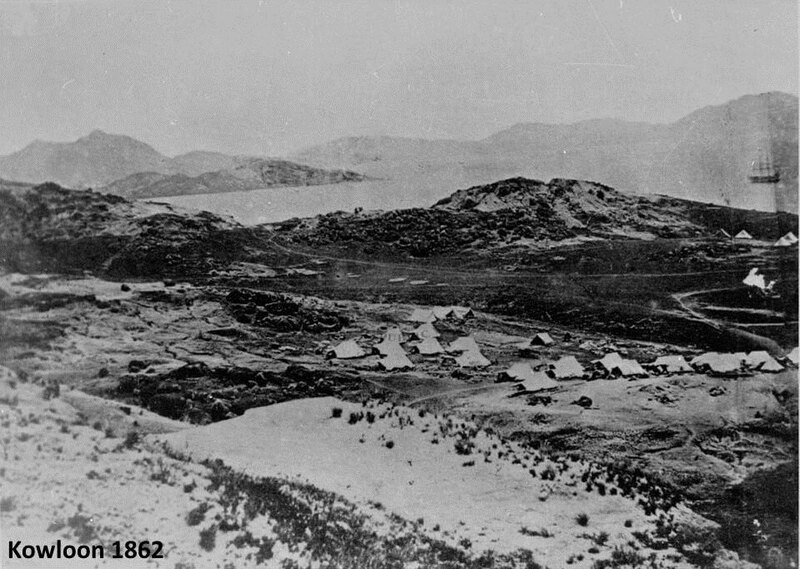 The initial development on Kowloon was a military camp and by 1864 this became Whitfield Barracks, now the site of Kowloon Park. 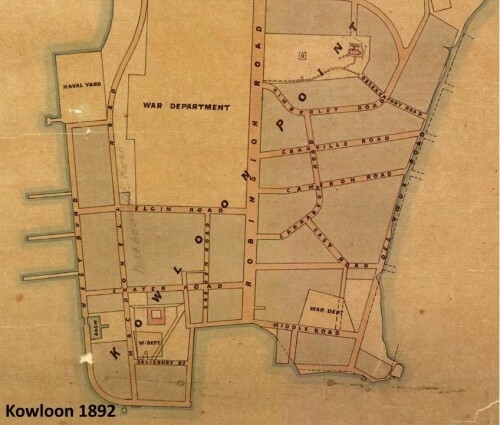 Commercial and residential development followed, particularly around the water front areas. Following the commencement of the Kowloon Canton Railway service on the 1st October, 1910 and the opening of Kowloon Station in 1914 (ref a), Kowloon was the new gate way to China and a key part of Hong Kong. 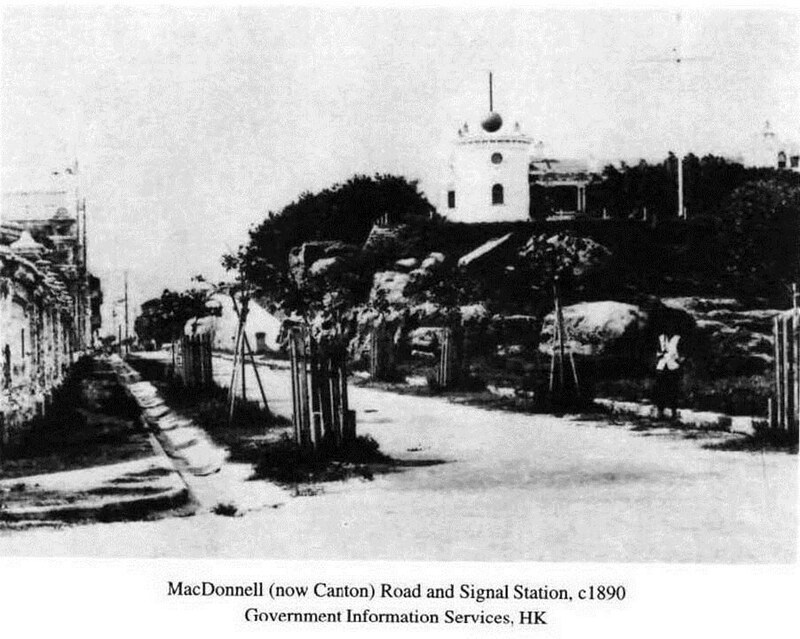 As can be seen from old maps of the time, the road names were based on roads on Hong Kong Island, this caused some confusion. 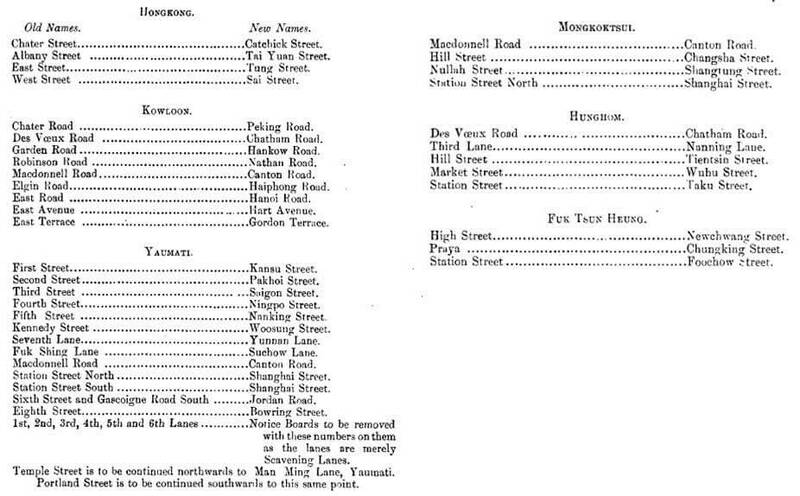 Thus, Des Voeux Road became Chatham Road, Robinson Road changed to Nathan Road and Macdonnell Road was Canton Road. This article was first posted on 12th April 2015.